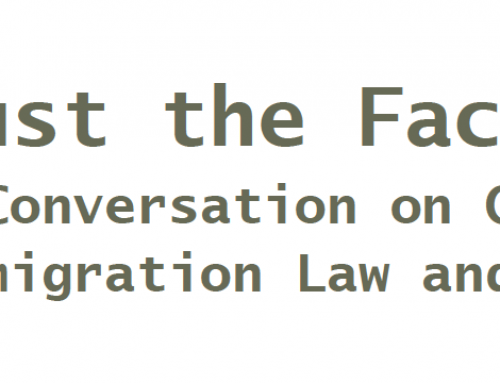 On Wed, August 15, 2018 from 5:30 PM – 7:30 PM EDT, Angela Adams will be a panelist at the event “Everything you wanted to know but feared asking about undocumented students…” This event will be at the Reuben Community Room, 1630 N. Meridian, Indianapolis and is free and open to the public. We encourage anyone interested in this topic to come! This panel, co-sponsored by WFYI and the Columbia University Graduate School of Journalism’s Teacher Project, will bring together educators and community stakeholders to share practical information on teaching and advising immigrant students — and also to hear directly from some undocumented students and the educators who work with them about their experiences in Indianapolis high schools. Beer and snacks will be served. Networking will start at 5:30 and the panel at 6 p.m. The event will coincide with the release of a series of local news reports exploring why so few undocumented students–only 5-10% of those who graduate high school–enroll in college, in Indiana and across the U.S. Learn more about the event and RSVP by clicking here!